Gurgaon-based digital media group Smile Group continues to roll out new e-commerce sites, surfing the wave of heightened interest from both consumers and investors. After launching a private sales site Fashionandyou.com and group buying site Dealsandyou.com, Smile Group has now launched BeStylish.com, an online shop targeting the footwear segment. 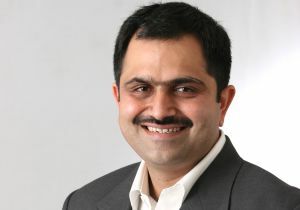 Techcircle.in caught up with Harish Bahl, the founder of Smile Group, to learn more about his plans for the new site, as well as the group's role in the e-commerce sector in India. Why have you ventured into the footwear segment with BeStylish.com? We have chosen to enter this category as shoes are not only luxury items but also a commodity. Entering this segment involves building a strong relationship with the customers; and as a retailer, we want to build that rapport. So we have chosen the most emotionally engaging category - shoes. We want to make Bestylish.com the most preferred destination for customers and that's the basic reason for entering into the business of footwear. Also, the other reason is that we all love shoes. So is BeStylish.com a discount site? What is your pricing strategy? We don't want buyers to remember us as a discount site; we would rather be a "best price" site. We are focused on the fact that we are living in an economy which is considered as the buyer economy, which means we cannot expect our customers to pay for premium products just because we are selling it through an online site. But if you rationalize your cost, you will find us cheaper than a retail store. Our uniqueness is in our style; also we have a wide range of products and offer services like free shipping and free returns. It's about going into a niche and interesting category in the footwear segment and making sure that the customers get the most stylish brands. We have also introduced attractive propositions for customers. Are you going to diversify? Yes, eventually we want to be a full range fashion retailer but before that we would like to introduce additional fashion categories in our portfolio. Are you facing resistance from users due to the "touch and feel" factor? Online buying has its advantages. Today, everyone is busy and anxiousness to buy is higher. Customers want the freedom of quick and easy shopping. On Bestylish.com, we offer customers free shipping and returns, so customers enjoy complete satisfaction after buying a product from us. The only thing that we cannot promise customers is a very quick delivery, like within an hour. We will take 24 hours to deliver a product. How are your other sites Fashionandyou.com and Dealsandyou.com faring? In terms of the number of customers and revenues, both are really doing well. We measure our success on the basis of our transactions, revenues, and the customer's monthly growth. On Fashionandyou.com, we sell 3,000 products daily. Fashionandyou.com is the number one fashion web site in terms of traffic. For the past two months, Dealsandyou.com has been receiving the most unique visitors as per comScore. Both the sites have become the fastest growing sites in India, capturing 85 per cent of the market along with our second-in-line competitor. The transaction size per day is not less than $5,000 on an average. In terms of revenue, we have already crossed Rs 100 crore in less than a year, so we are the fastest growing e-commerce company. What are the key factors behind a successful e-commerce business in India? E-commerce is still growing in India and within a couple of years, it will engage customers in every category. There are multiple factors like a good infrastructure, rising incomes and increase of broadband connectivity that are driving the success of e-commerce business. But as a businessman, I feel only one factor can change the entire scenario and that is credibility. Credibility comes with a question - whom do you trust the most to buy from? Also being an online retailer, am I giving my customers the best brands with a convenient shopping experience? In Bestylish, we stand for the best customer experience and anything that adds to credibility. Who are your competitors in India? It might look like many people are doing the same business in the same market. I believe in letting people benchmark our quality. In terms of competition, 99labels is there, but we are probably 7-10 times bigger than them. The main challenge is poor supply chain infrastructure. Whether it is payments, logistics, warehousing, third party supplies, the overall supply chain for multiple partners and technology readiness are the most challenging aspects which we are trying to overcome. I think we have lot of investment in supply chain infrastructure and probably this is the biggest difference between us and our competitors. What are your plans in the future? Are you planning for more portals? We are committed to e-commerce. I have always believed in this format as I felt it rising. We will definitely launch more businesses which are in the value chain in e-commerce. Following our strategy of the past, we do not start any new venture until we become the market leaders in that category. So at present, we are not thinking of any other venture but Bestylish.